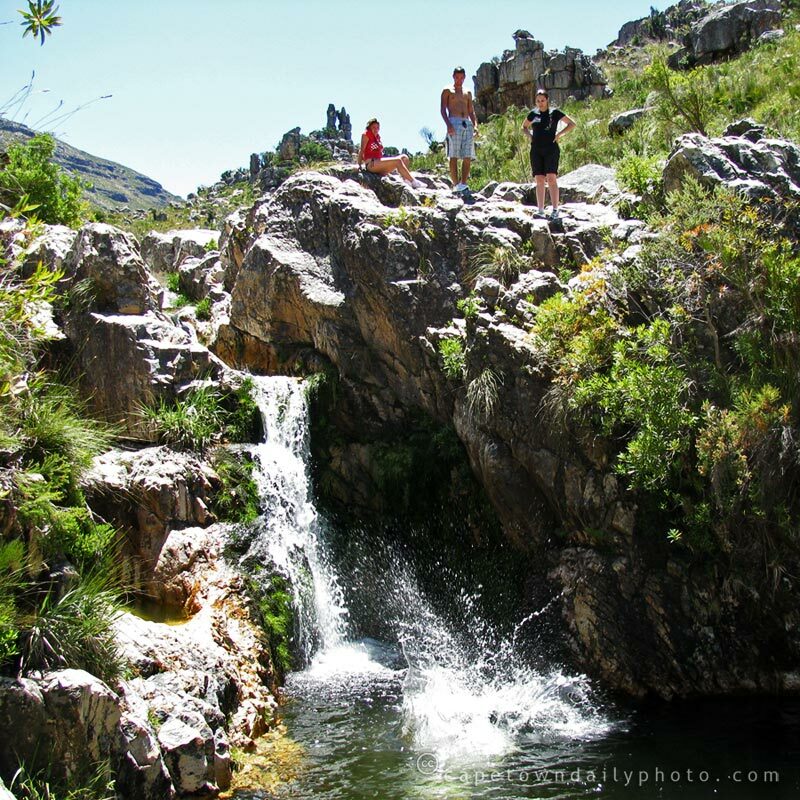 Tweede Tol is a camping site high up in the Limietberg Nature Reserve. Since we last visited, several years ago, Cape Nature seems to have made several improvements to the site - perhaps the most welcome of all being that they've planted and manicured a thick bed of buffalo grass at each stand. Day visitors are allowed to picnic and swim at the large rock pools. We wanted to hike up the mountain river to a large pool about 1.5km above the camping site - so we had to hire two camping sites for the day, which worked out more expensive, but was certainly way more fun. We spent about 4 hours hiking, swimming and applying copious amounts of sunscreen. Posted in General on Sunday, 7 December, 2008 by Paul.